Hoya griffithii originates from the Himalayas (India & China), and the prevailing theory is that it would prefer cooler temperatures. I received it as a small cutting from the Liddle Nursery in Australia and I have always grown it warm and humid. It has now flowered 12 months after receiving the cutting. It seems to be a fairly easy Hoya to grow even when you accidently break off the growing tip twice like I did. 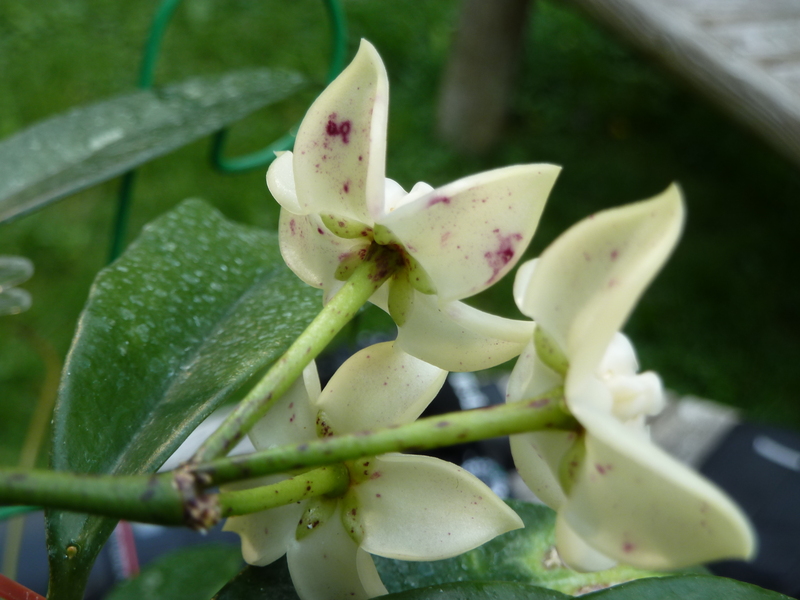 I only have three blooms on this peduncle, but I am sure that will improve with age. 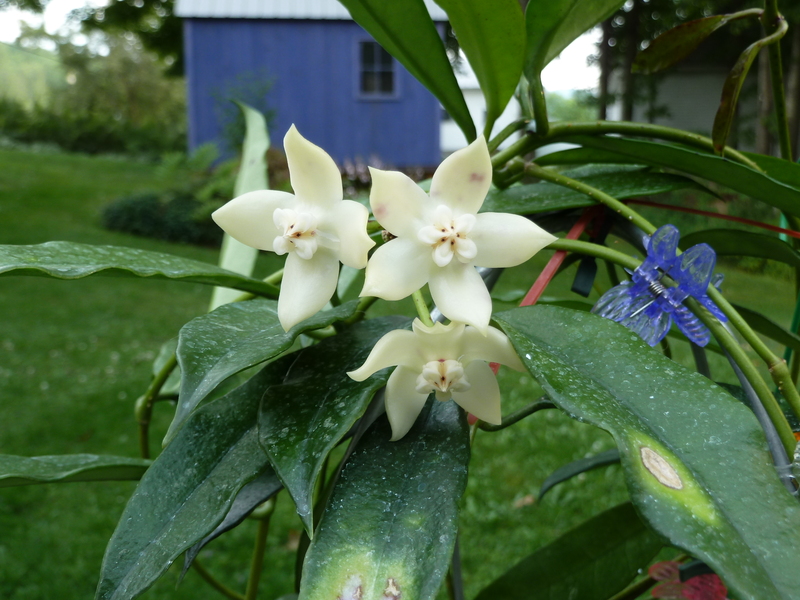 It is a very good grower, and has three other non-blooming peduncles at this point. As can be seen in the photos the blooms are heavy, waxy and quite substantial in size measuring over 1.25 inches (3.175 cm) in diameter. It is very heavily perfumed. The color is a lovely creamy off white with red splotches on the back side of the blooms. 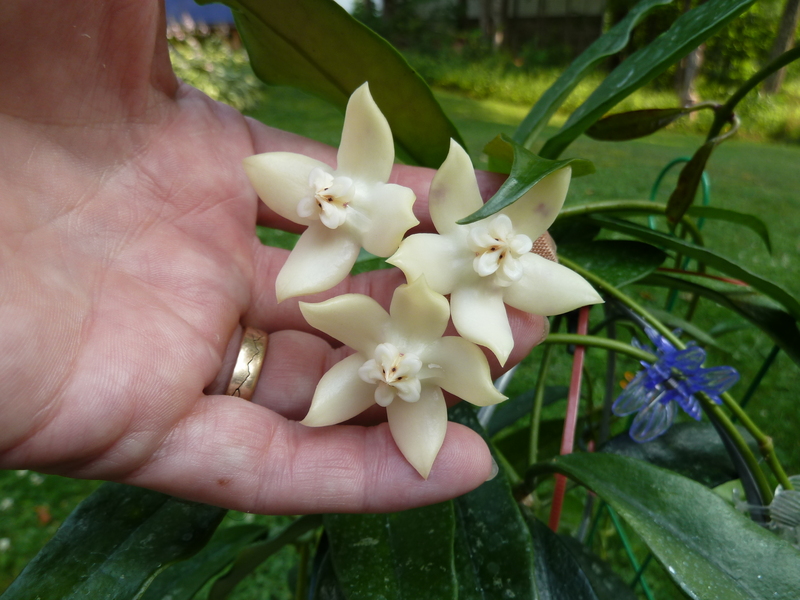 I can say this is a very worthwhile Hoya to keep – A big Thumbs Up!